Here is another recipe my mother found and shared with me. She gave us a container of the rub initially, and later followed up with the recipe. My husband and I use it on rib-eye steaks, and I have also used it on beef tenderloin (as pictured above), pork chops, and even chicken. The rub would make a great a great hostess gift, packaged in a Weck canning jar or recycled herb container. Mix spices well in a large bowl. 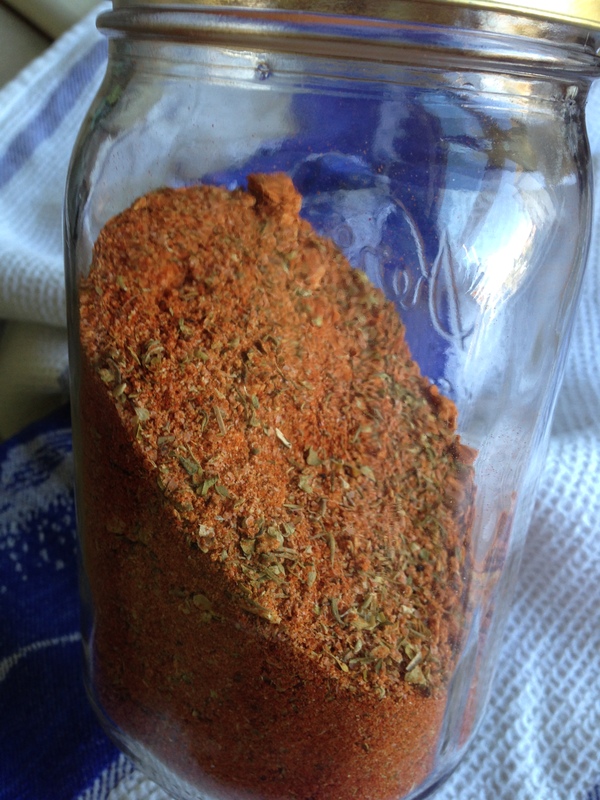 Place a small portion of the spice mixture in spice jar with a shaker top and the remainder in a well sealed glass jar. 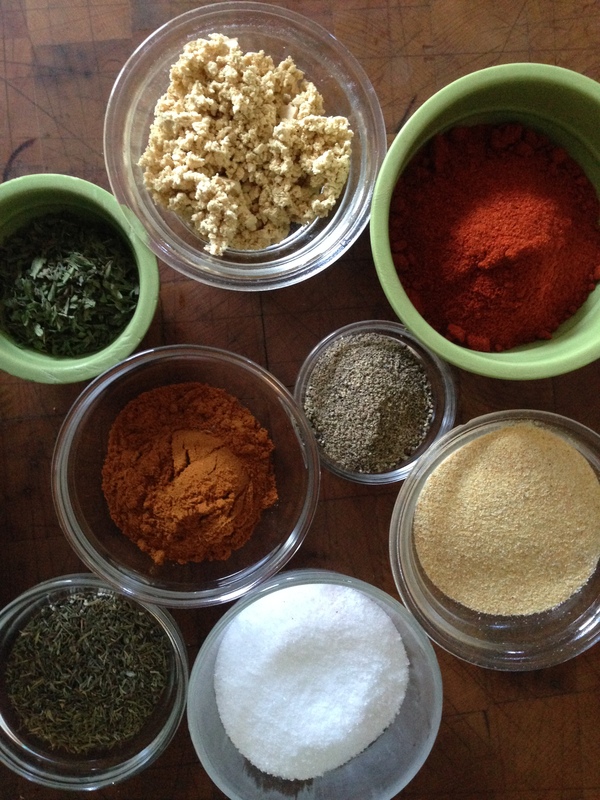 Note: Unused spice mix can be stored in air-tight container for up to 6 months. Thoroughly rub all sides of the steak with the rub. Season with salt, and rub with olive oil. Let steaks rest at room temperature for at least 30 minutes. Heat grill to 400 degrees and position the rack four inches from the coals or heating element. Cook the steaks for 4 to 5 minutes on each side for medium rare. 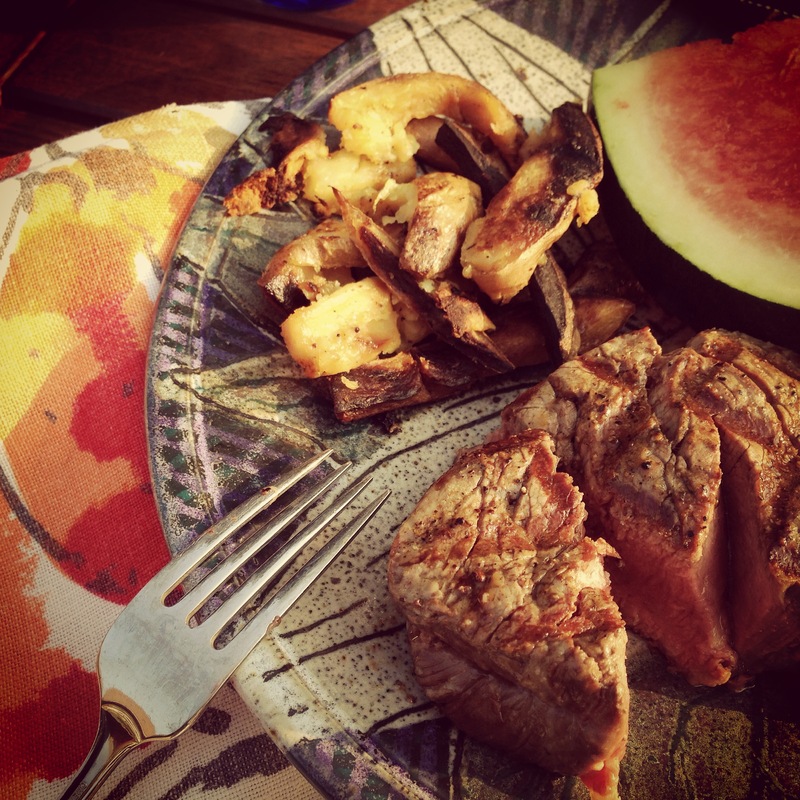 This entry was posted in Meat, Paleo, Poultry, Recipes, Sauces & Condiments. Bookmark the permalink.